Matt Cooper, author of the blog Backpack in China (www.backpackinchina.com), packed his bags and moved to China - a place where the culture, history, language and way of life was completely different to what he was used to. Having spent a year working as a teacher, manager, childrens entertainer, businessman and security officer all over the country from rural villages to the big city of Beijing, he shares his experiences and offers advice to combat the culture shock you may experience when going abroad. Everybody experiences culture shock in different ways. For me it was apparent. I can still remember what it felt like the day that I arrived in China. "I was swimming in a cultural wave pool...its not as crazy for everybody, but you can expect some degree of culture shock when moving to a country so different from your own." I was picked up from the airport by a group of two other foreigners from India and a representative from my university. They spoke just enough English to mention the names of my employer, and my housing complex. As I didnt have too many options, I went along with them, hoping for the best. It seemed strange to be riding down the Chengdu expressway in an old van with a group of other foreigners who were all equally as foreign to one another. For the first time in my life I was swimming in a cultural wave pool and I was still in the shallow end. This was my introduction to China and for the next few weeks things just seemed to get more unexpected. My mind was attempting to wrap my head around 1000 years of cultural differences, and the feeling to this day is still completely indescribable. This was my introduction to China. Its not as crazy for everybody, but you can expect some degree of culture shock when moving to a country so different from your own. Hopefully I can pass on some critical advice to help you know what to expect, and prepare for culture shock you could experience while moving abroad. Do your research instead of blindly taking a leap of faith, read about cultural norms of any country that you are planning on visiting. This can help you learn about what to expect, and how to hold yourself in different situations. I cant put enough emphasis on how important it is to do a little bit of basic research before you head abroad. Another great way to learn about a culture and what to expect is to speak with people who have been there before. Get on Facebook, Twitter, or any social media site and make connections with expats living abroad. Address your concerns with someone who has already gone through the process. Check out Couchsurfing (https://www.couchsurfing.org/). With Couchsurfing forums you can speak with foreign expats in almost any city in the world before you go. Join a local cultural club. Learn from people who have immigrated to your home country. This way they can introduce you to the cooking style, and give tips on what to expect. A good way to try and communicate with the local people when you arrive is to brush up on a number of basic phrases so youre able to order food in a restaurant, greet people, get around and find and organise accommodation. It could be worthwhile carrying a notebook with these phrases, both spelt phonetically which will help to pronounce them accurately and the correct spelling be it in Spanish or Mandarin so youre able to learn to recognise these words in case youre looking for a specific place such as an internet cafe. When leaving to work abroad, its wise to make sure you secure your basic necessities before you go. Although some may have a job, volunteering program or internship already organised, for those travelling who dont it is important to at least organise a couple nights accommodation in a new city so you know you have somewhere to go when you arrive which will help you settle in. This way if you have a hard time making the adjustment to your new living conditions you can know that your basic necessities are met. When organising work or accommodation beforehand its worth keeping an open channel of communication with your new employer. Ask plenty of questions about your job details and dont be afraid to insist on more pictures of your living arrangements. Make sure you are living in a safe, comfortable apartment or house. Dont just take your employers word; connect with local expats living in the area and ask their opinion on your new living arrangements. If you plan to move without these arrangements, have enough cash to float for some time. You might want to start by looking for temporary short-term housing. In cities like Beijing there are great resources like The Beijinger (https://www.thebeijinger.com) to find housing and jobs. At any rate always have a backup plan just in case things dont work out like you expected. This can be as simple as moving into a hostel dormitory for a few days until you figure it out. Just make sure you have cash saved if you go this route. Does that city have a forum on Couchsurfing? Does your city have a Hash House Harriers club? (If you have never heard of the Hash House Harriers, then I strongly suggest reading up on your local chapter. You will love it!) Does the city have a bar or nightclub district? Other ways to meet expats include English newspaper publications centered around the expat community and expat sites online. Meetup.com is a worthy site - it helps finds groups and when theyre meeting up in hundreds of cities around the world, you dont have to pick the Im new in town groups, there are a number that are organised according to hobbies - cooking, movies, books, socialsing and photography to name a few. Find people you connect with and see them separately. Moving or travelling to another country is going to test your patience. Its going to require that you are open to new ideas, cultural perspectives, and experiences. From the moment you arrive begin expanding your cultural frame of reference. Start trying to understand things through the lens of your new host country. "I often found that daily journeys can lead to 'mini adventures' meeting locals and other expats." Once you arrive and get settled in your new home I suggest filling your free time with explorative journeys around your city. I often found that daily journeys can lead to mini adventures meeting locals and other expats. Becoming familiar with your surroundings will help you get over your bout of culture shock. You might be surprised how many interesting places you can find around your new city. Dont be afraid to approach strangers and start conversations. Start building your network of local friends. This without a doubt requires flexibility. Can you think of anything you can't live without? Your special pillow? Your favorite barbeque sauce? Bring it! Pack a small amount of comfort food if you arent sure that you will be able to find it abroad. Save it and share it with your new foreign friends who have never tried it. If you are having a bad day cook something special from back home. You will be surprised at the lack of similar everyday items available at your convenience, but larger cities usually have foreign grocery stores. While visiting home I once brought back a year supply of my regular deodorant and contact solution because I couldnt find my favorite brand. If you have problems adapting, then bring what you know will work. I will never forget the experience I had during my first few weeks living in China. I could not have prepared myself completely for the complete shock that I experienced. At that time, I had not made any preparations that I suggested in this article and everything worked out just fine. Knowing what I know now, I would highly suggest following these guidelines. You won't be able to fully prepare yourself to live abroad, but this is a part of the adventure. Do your basic research and take a leap of faith knowing that one way or another everything will work out just fine. Happy adventures! 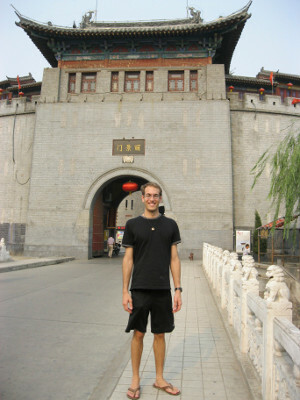 Matts China obsession started back in 2009 when he tool a leap of faith and moved to Chengdu, China. Since that time he spent several years living in China working various jobs. 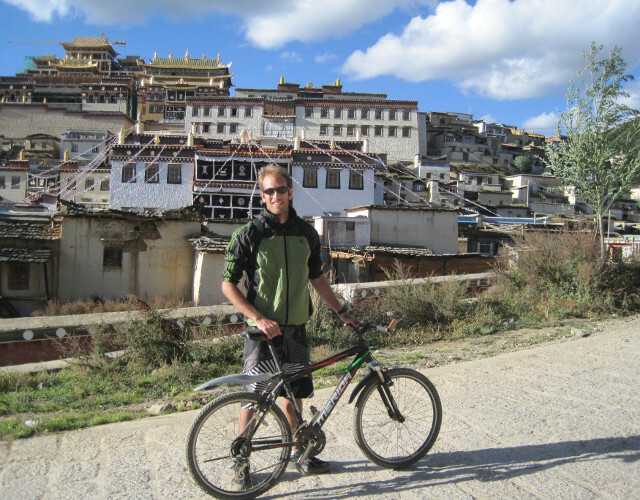 In 2011 he moved back to Florida, USA and he now travels during the summer and runs a travel resource website Backpack in China. 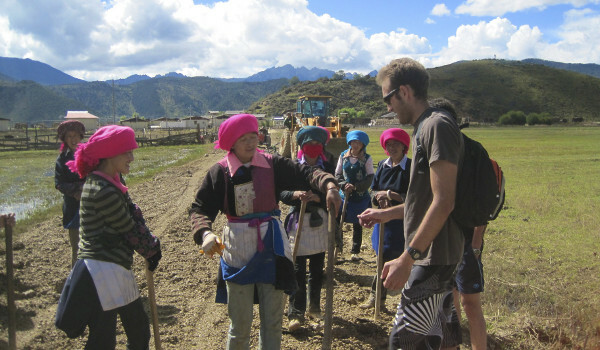 Contact Matt on Twitter @backpackinchina.